Hey there! I’m Catnip (Bastet)! 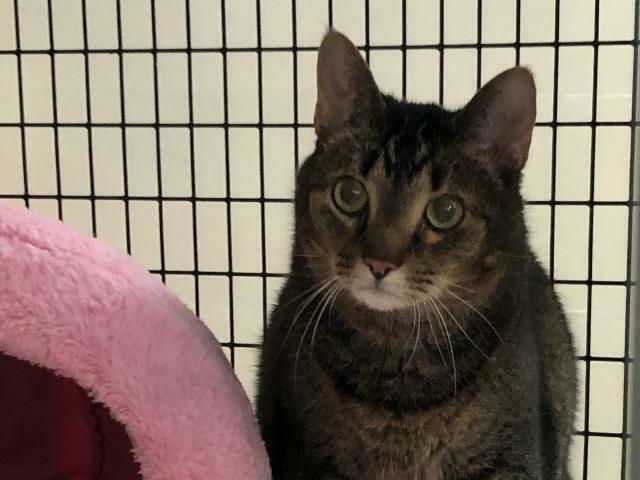 Even though I've been here for a little while, don't get me wrong - I need a home to enjoy my golden years. 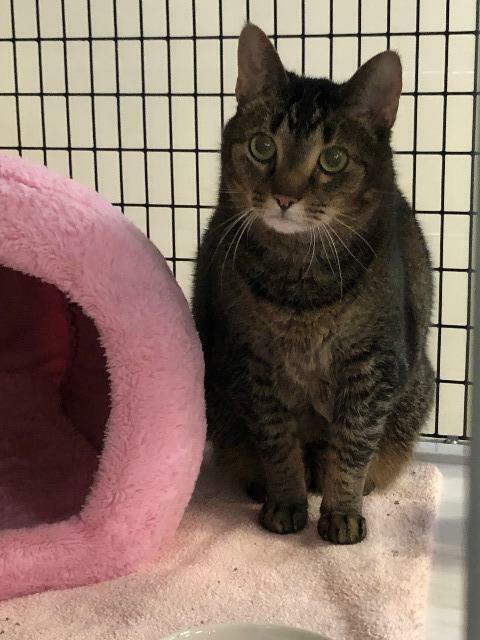 I am an absolutely beautiful brown tabby with big, expressive eyes and a quiet demeanor. SAFE Haven has been wonderful to me, and I've been able to spend some quality time in foster homes so I can rebuild trust and get cozy with a family. My fosters, Marla and Gina, have been wonderful! Says my foster mom, Gina - "I gave her time to feel secure in her new surroundings before I let her explore the adjacent bedroom. As expected, she did hide under the bed, but, would always come out for her meals. I would talk to her and pet her. Each day she became more trusting. After 3 weeks she wanted attention and began to sit on the bed with me. Purring while I petted her. Our evening ritual was watching the sun go down together. She is ready to continue her journey in her forever home. She has come so far in a month. Imagine what a great companion she could be with a little time, love, and patience."